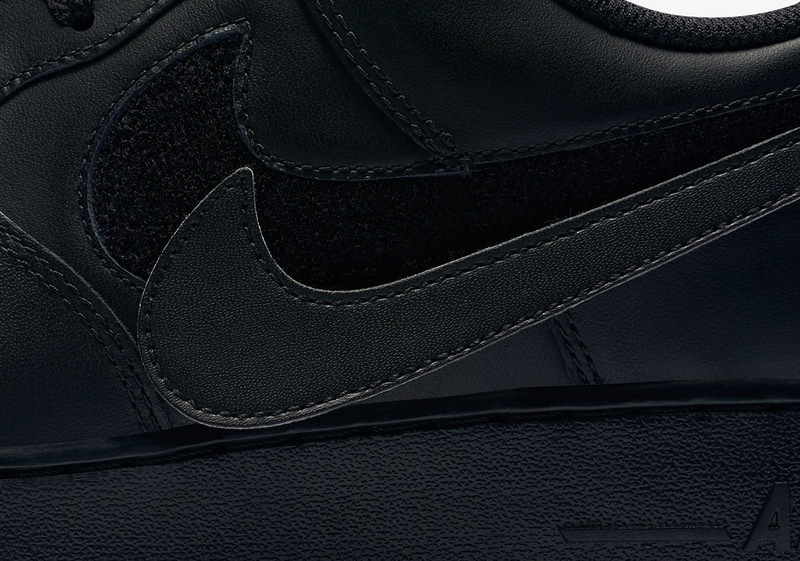 This all-black Air Force 1 showcases a refined and simplistic aesthetic which puts all emphasis on that sidewall Swoosh. You’ll find a set of different coloured overlays in the box which can be attached and easily removed thanks to a Velcro layer. Classic Air Force 1 branding is also stamped to the tongue as well as the midsole underfoot. 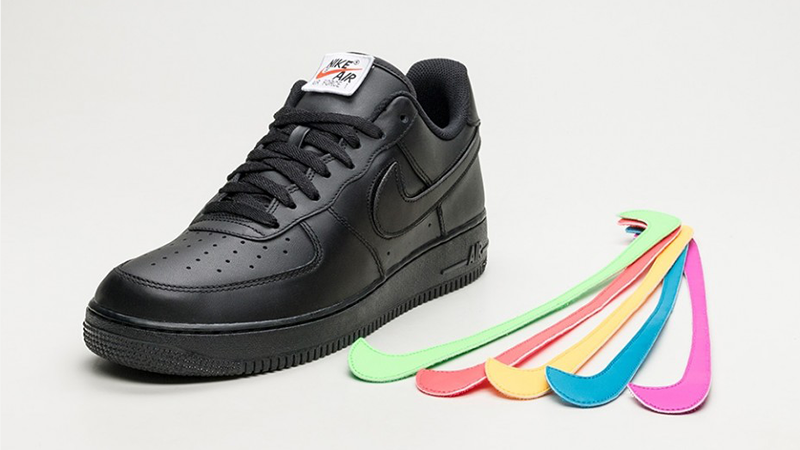 Although this is a dark and understated colourway, the Air Force 1 Velcro Swoosh Pack can be brought to life with the addition of a pink, blue or yellow overlay. 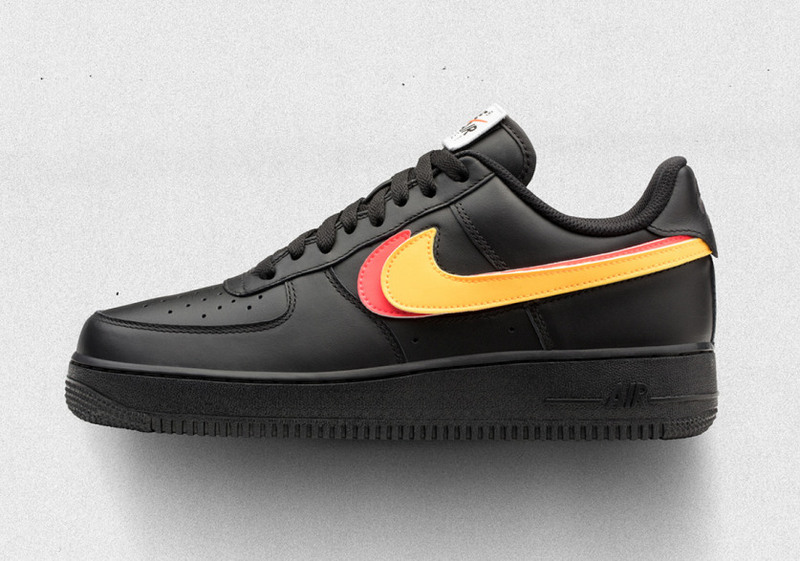 The Nike Air Force 1 Low (Removable Swoosh) is avaialbe at selected retailers.